This just in from Beauders! Thanks Beauders! 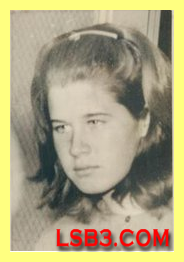 At age fourteen Dianne Lake—with little more than a note in her pocket from her hippie parents granting her permission to leave them—became one of “Charlie’s girls,” a devoted acolyte of cult leader Charles Manson. Over the course of two years, the impressionable teenager endured manipulation, psychological control, and physical abuse as the harsh realities and looming darkness of Charles Manson’s true nature revealed itself. From Spahn ranch and the group acid trips, to the Beatles’ White Album and Manson’s dangerous messiah-complex, Dianne tells the riveting story of the group’s descent into madness as she lived it. That should probably be a pretty good book. Yeah I agree Sunset. I think I'll buy it when it comes out. I always found Lake to be one of the more attractive girls. Katie and others who are interested I now have an agent for my book. If a publisher does not pick up my book after Manson dies I am going to self publish it. I worked for years on this book and want it read. Also Katie Jeff Guinn has a book coming out on Jim Jones, the Peoples Temple, and Jonestown. I was not impressed with his book on Manson and do not expect much in the Jones book but I will read it. Thanks Beauders! Please keep us in the loop on your book because I'm sure there are many TLB enthusiasts who would like to read it! 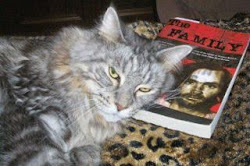 I wasn't impressed with Jeff's book on Manson either, but I'd like to read his take on the Jonestown tragedy. Is there a publish date on that one? p.s. Beauders somebody made a comment to you a couple of threads back about the OJ Simpson case in case you missed it. I'm curious as to why Charles Manson would have to die before your book would come out. What if he lives until 2028 ? When Manson dies like most celebrities it will be in the news and that will increase interest. All Manson collectibles are going to become a lot more valuable after he dies. New books will be published hopefully including mine. Do you find yourself kind of hoping he goes soon ? Would you have mixed feelings if he lived another 15 years ? Lynyrd, please check your e-mail! Well in a just world Manson would have been dead long ago. I think he's on his way out and really haven't considered him living another fifteen years. I started getting interested in Manson, etc. on the twenty-fifth anniversary, and I guess if he lived another fifteen years I'd deal with it ok. I really just want my book read. Wouldn't be just like Charlie to outlive all his children in prison, that is Tex, Lulu, Katie, Cupid, and Bruce. Would you consider putting it out now, regardless of whether he's alive or dead ? I need a publisher but will self publish after Manson dies. I have a lot of collectibles dealing with Manson etc. and need to sell them for the self publishing if it comes to that. I just don't have the money. I have a doll Manson made, he named her Fire starter, if anyone is interested. Of course she is supposed to burst into flames when Manson dies.